I always seem to be away when I receive my monthly GLOSSYBOX - no complaints though, it's a nice thing to arrive home to! I was quite happy to see this months box in the original pink box; as much as I loved the special summer editions! 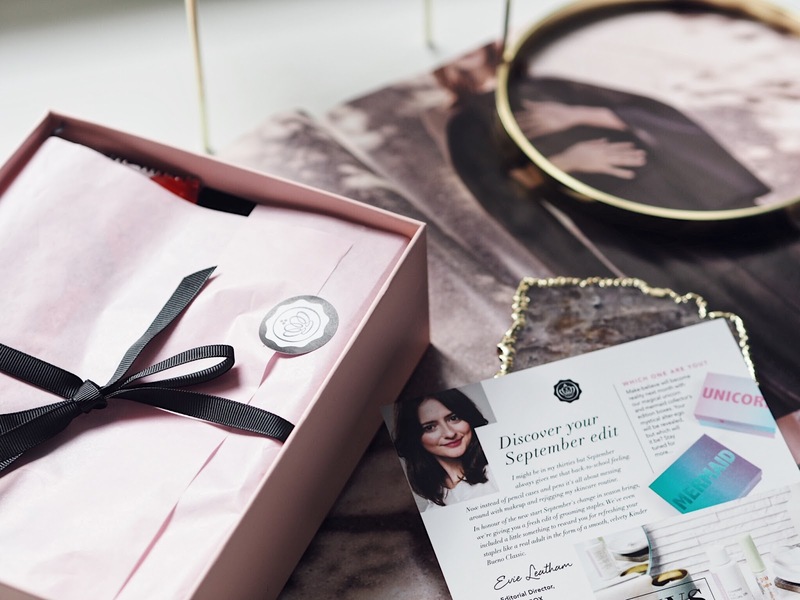 September's box is a good one and full of some products (and *ahem treats) which will definitely make the transition into autumn that little bit easier. First up is possibly the most exciting. 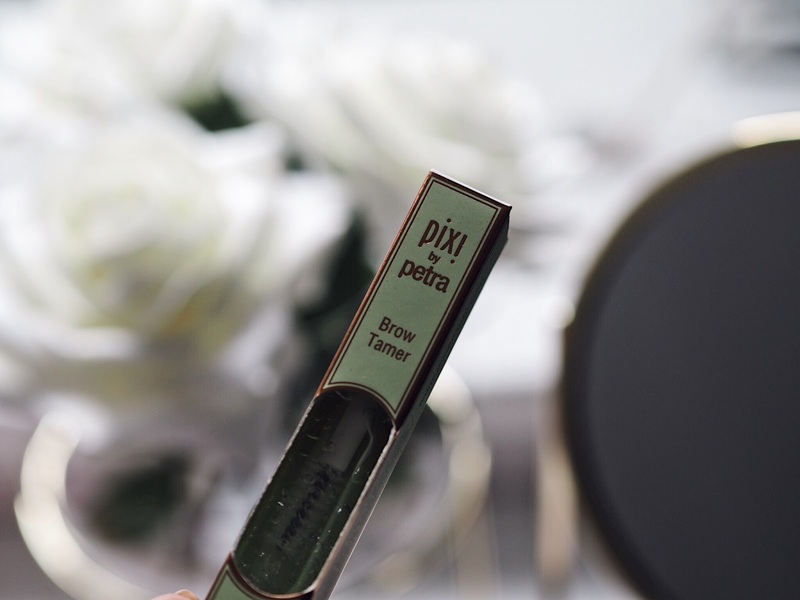 I've been wanting to try Pixi Beauty for so long, so to find the Pixi Brow Tamer in the box was very exciting. 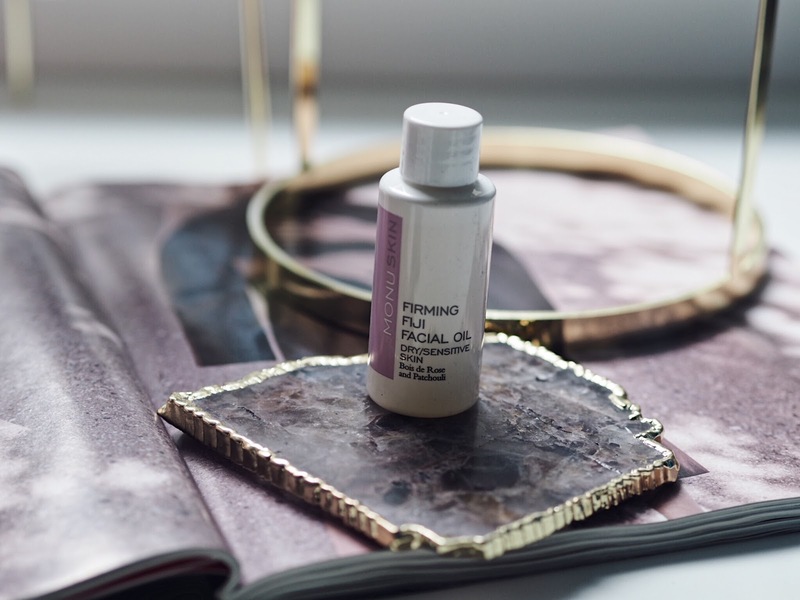 You know that which makes your hair/brows/everything go all over, well no more. My brows shall be tamed. 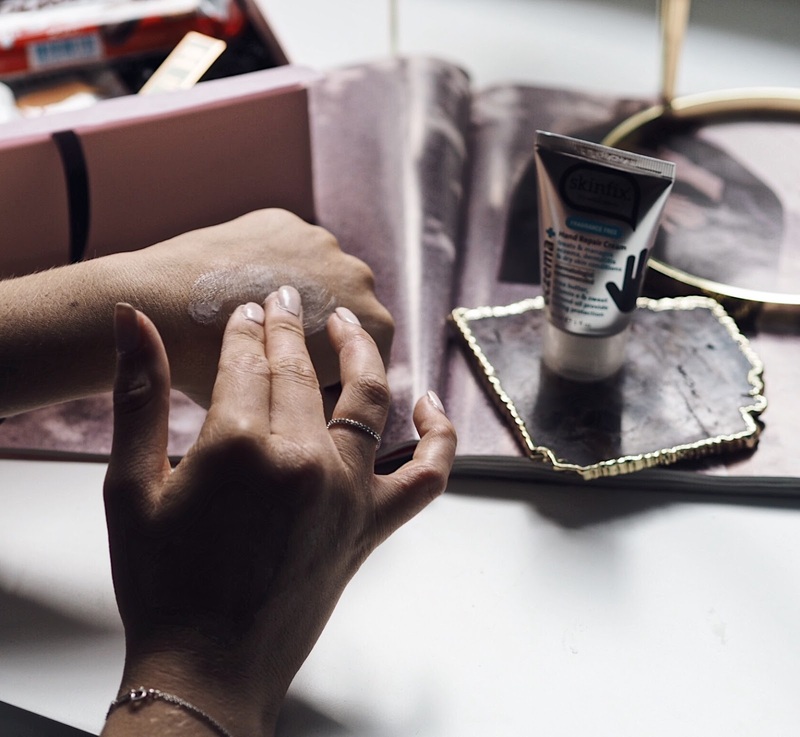 I've also found that this is the perfect product for keeping my baby hairs at bay - they usually have a mind of their own but a once over with the Brow Tamer and they are not going anywhere! 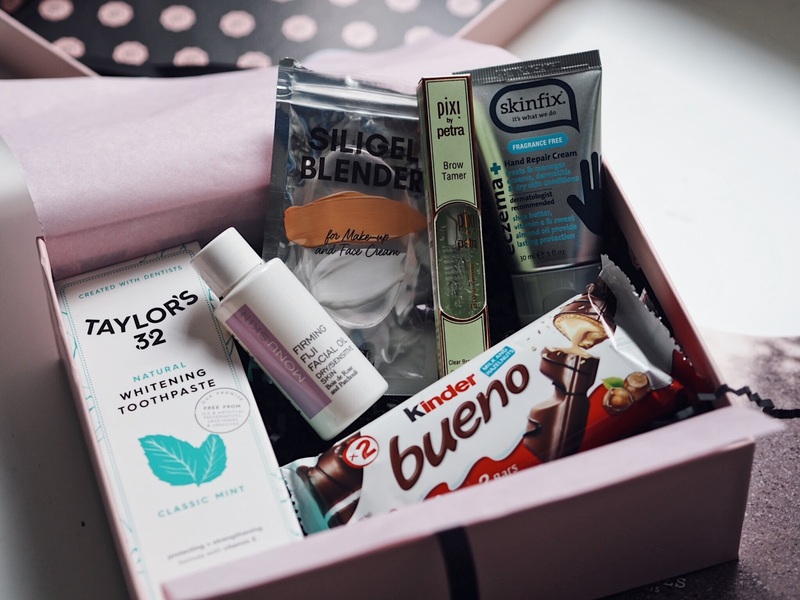 Is it just me, but does every subscription box/goodie bag etc have a toothpaste?! 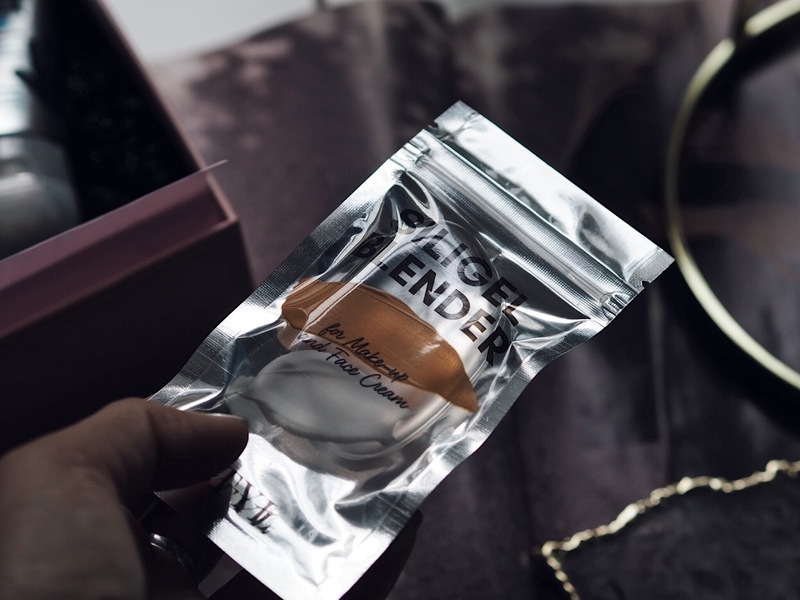 I'm not sure what the connection is, but I'm not saying no to this posh lookin' toothpaste. 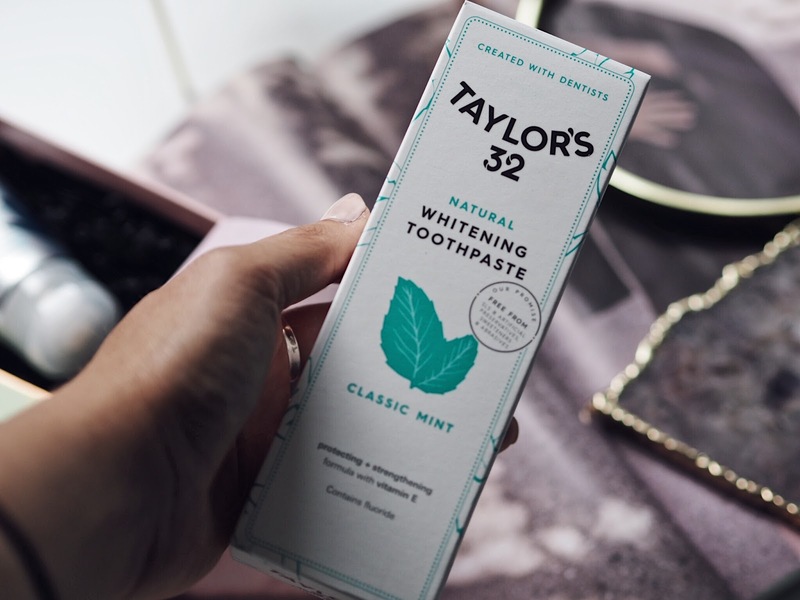 This is the Taylor's 32 Classic Mint Natural Whitening Toothpaste (RRP £5), I'm actually trying to be more conscious in terms of which skincare/beauty/products I'm using and I love that this is natural! Taylor's 32 is formulated with sodium bicarbonate and silica to help remove any stains, and so far so good! Next is the MONU Firming Fiji Facial Oil (RRP £26 for the full size product). As I have dry skin naturally, my skin thrives when I use facial oils - this one contains a blend of plant oils, including patchouli essential oil which is perfect for firming and brightening the skin. I have been using this every other night in place of my Kiehls Midnight Recovery Concentrate as I love to mix things up! I definitely recommend trying out MONU, so far I've been loving their products. Last but not least, you remember I mentioned treats? 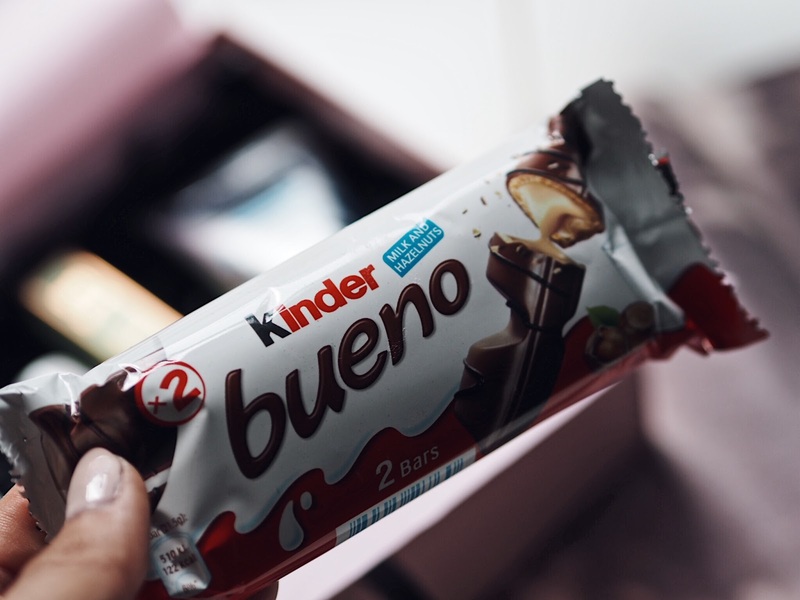 Well this months box also included a Kinder Bueno - a classic favourite! Definitely a pick me up after struggling with the colder and darker days! I think GLOSSYBOX need to include a lil sweet treat in every box, shall I start a petition? A huge thanks to the lovely ladies at GLOSSYBOX for sending me this box! 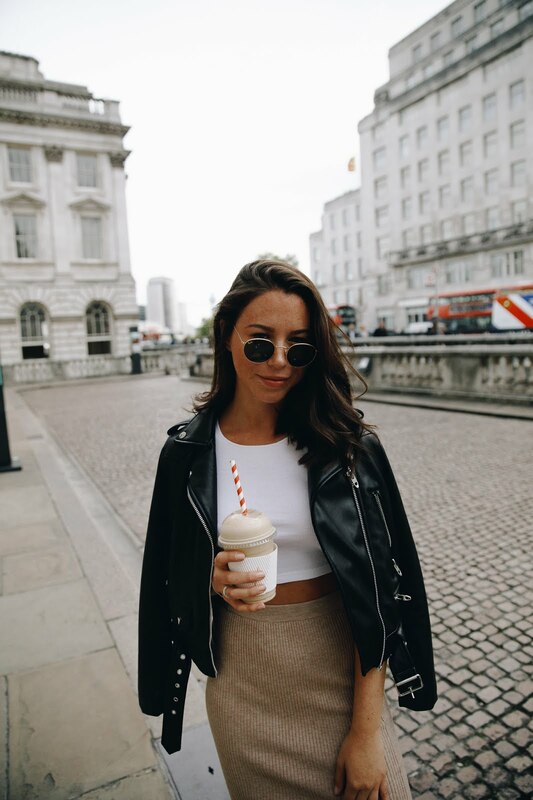 If you haven't got your hands on a subscription do remember to sign up here with code SEPTEMBER7 to get your first box for £7!